Bredon Hill is a prominent outlier of the Cotswold Hills with outstanding views over the surrounding countryside. The 45ha reserve is an internationally important site for rare invertebrates. Access to the site is limited to public rights of way. The area of the NNR has been used for sheep pasture for hundreds of years creating a mixture of scrub and grassland. A feature of the scarp slope is the large number of widely spaced trees, many of which are more than 300 years old and direct descendants of the original ‘wildwood’. They are home to a vast array of invertebrates that depend on decaying wood in ancient trees – in fact this is one of the top five British sites for these creatures. Over 230 invertebrate species have been recorded here and the site is home to seven rare beetles, including the very rare violet click beetle, and six rare species of fly. An interesting feature of the reserve is the active landslip. It is an unusual phenomenon in Britain which creates constantly disturbed and changing local habitats. The unimproved grassland is herb-rich with salad burnet, wild thyme, common rock rose, pyramidal orchid and dwarf thistle. Locally uncommon plants found here include chalk milkwort, horseshoe vetch and bee orchid. Glow-worms are frequently seen at the site and butterflies found in the grassland areas include marbled white, brown argus and dingy skipper. The scrub areas, characterised by hawthorn and ivy, with elder and blackthorn, provide important breeding sites for many bird species including whitethroat, linnet and yellowhammer. 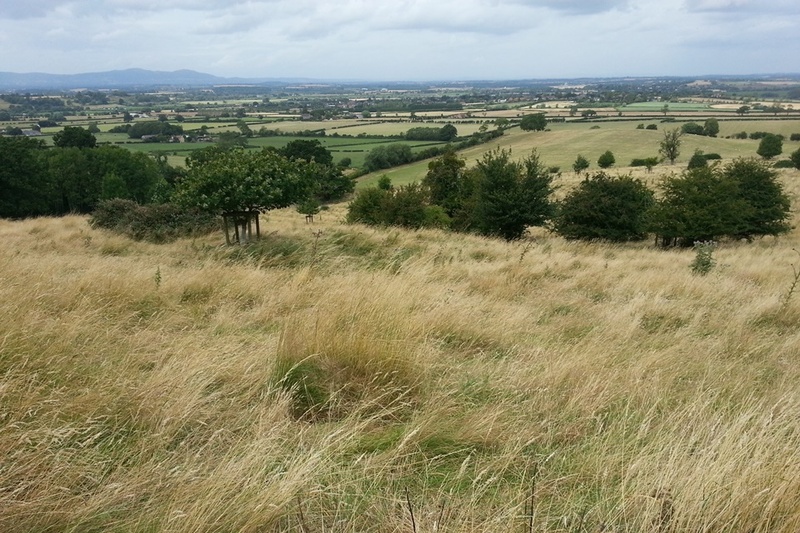 For detailed ecological information see Bredon Hill Site of Special Scientific Interest (SSSI). The nearest train station is in Evesham. A 64 km trail, the Wychavon Way crosses the site. For further information, contact the site manager Aidan Fallon by email: Aidan.Fallon@naturalengland.org.uk or telephone: 07919 995036. Chaddesley Woods NNR is made up of oak woodland (believed to be a remnant of the former Royal Forest of Feckenham), areas of plantation and scrub, and grassland. See Worcestershire Wildlife Trust’s Chaddesley Woods web page. For detailed ecological information see Feckenham Forest Site of Special Scientific Interest (SSSI). Foster’s Green Meadows NNR is surrounded by rich hedges with field maple, wild service, spindle and elm. The largest field, known as Eades Meadow, is a hay meadow with ridge-and-furrow. See Worcestershire Wildlife Trust’s Foster’s Green Meadows web page. For detailed ecological information see Foster’s Green Meadows Site of Special Scientific Interest (SSSI). Wyre Forest is part of one of the largest ancient lowland coppice oak woodlands in England. The 549ha reserve covers a plateau on which geological faults have created steep valleys. 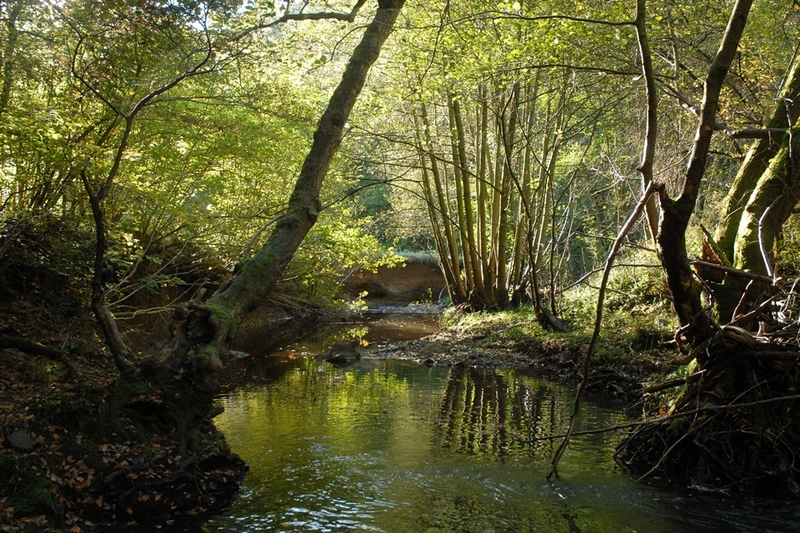 Wyre forest is a mosaic of woodland, grassland meadows, old orchards and areas of scrub. The site supports an important invertebrate population that includes England’s largest colony of pearl-bordered fritillary butterflies. In recent years, 33 types of butterfly and over 1,150 types of moth have been recorded. Some of the most spectacular species include the beautiful white admiral that seems to literally glide through the trees, and the dainty wood white. Around the brooks and streams, look out for golden-ringed and club-tailed dragonflies, as well as the white-legged damselfly. Breeding birds in the area include redstart, pied flycatcher, wood warbler, buzzard and raven, while dipper, grey wagtail and kingfisher are found on the larger streams. Mammals found in the reserve include, fallow, roe and muntjac deer, polecats, otters and European mink. Yellow neck mice, dormice, voles and water shrews are also found. Several bat species live in the area including pipistrelle and Daubenton’s. See the site visitor leaflet for more details. For detailed ecological information see Wyre Forest Site of Special Scientific Interest (SSSI). There is a car park on the B4194, 0.5 kilometres west of the village of Buttonoak, and another at the Forestry Commission Wyre Forest Discovery Centre at Callow Hill on the A456. The nearest train station is in Kidderminster.